Here at Talent Bureau, we’re always thrilled to see our speakers taking their ventures in new directions. 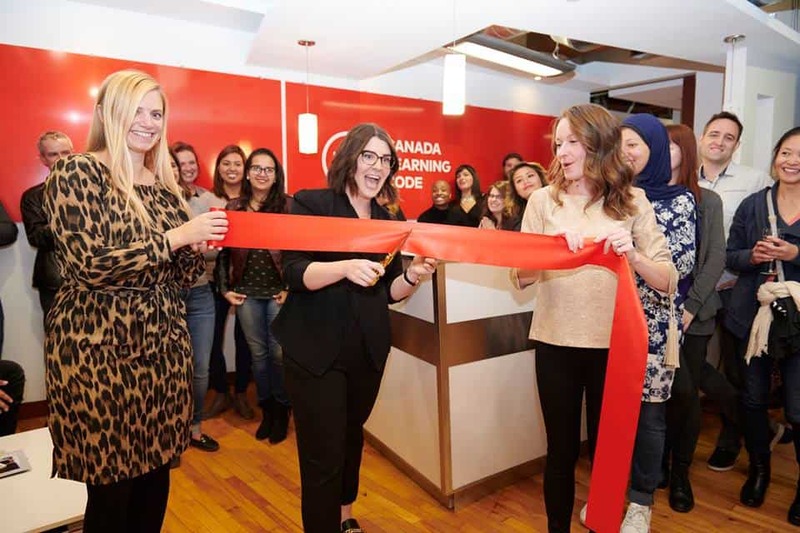 Tech expert and advocate Melissa Sariffodeen announced on October 27 that Ladies Learning Code has rebranded to Canada Learning Code, with the goal of bringing more Canadians the opportunity to learn code. Her work has received huge support, notably from Prime Minister Justin Trudeau, who helped Melissa launch a campaign last year for greater program outreach to people across Canada. Elizabeth Keith covered the Canada Learning Code launch for IT World Canada, below. Ladies Learning Code has rebranded as Canada Learning Code to reach more Canadians with its programs, according to its leader. The organization officially rebranded Oct. 27, after announcing the change last year. “For us, diversity wasn’t just gender, we really wanted to provide our program for all Canadians,” said Melissa Sariffodeen, CEO of Canada Learning Code. Sariffodeen said that there is a lot more the organization wants to do. While its roots are still focused on teaching women to code, its overall mission has evolved to also focus on other underrepresented groups such as indigenous communities, newcomers, and those that may be socio-economically disadvantaged. “We are envisioning a country where all Canadians have the ability to harness the power of technology,” she said. As part of the rebranding, the organization has announced that it hopes to reach 10 million Canadians in the next decade. Sariffodeen says that this is ambitious but feels optimistic about the future. Sariffodeen says the key to reaching this goal is in transforming the education system. Canada Learning Code wants coding to be integrated into school programs and classes across the country. “I think it is critical if we are going to have the representation that we want,” says Sariffodeen, who is also completing her Master of Education in philosophy. Not only would this teach digital skills to Canadian youth, but it would make the programs accessible to groups who may not be able to participate in Canada Learning Code as an extracurricular activity. Under the new brand, Ladies Learning Code will still exist but all the programs such as Kids Learning Code, Teens Learning Code, or Teachers Learning Code will have equal weight. Rather than introduce more programs for groups such as newcomers or parents, the organization is taking a more unified approach in the hopes of reaching all Canadians. Other goals of Canada Learning Code include preparing youth to not only work in jobs in the tech industry, but to create them. “We’ve always been big believers in the power of building technology, not just consuming technology,” Sariffodeen said. She said she has seen people develop these skills, allowing them to harness the power of technology and the future. Through Canada Learning Code programs “technology, and the future of technology, and the future of work aren’t something that people fear” Sariffodeen says. Over the next 10 years, other goals of Canada Learning Code are to diversify the tech industry and ensure access for underserved groups, create skilled workers, and promote government innovation. Sariffodeen said she is confident these goals can be accomplished, including the aim to reach 10 million Canadians. Currently the organization has served over 82 000 learners, and the numbers attending its programs this year are already double those of the last year. “Our plan is that our growth will continue to be exponential into the future as well” Sariffodeen said. Keith, Elizabeth. “Ladies Learning Code evolves to bring coding to more Canadians.” IT World Canada, Oct 31, 2017. View original article here.